The Exigo Glute Machine is a strength training product. It is part of our exceptional selectorized Lower Body range and is ideal for gluteal muscle isolation. The exercise involves swinging the leg backwards and is performed one leg at a time. The glutes play an important role in the body’s alignment. They operate together to extend, rotate and abduct the hip and are the biggest and most powerful muscles in the body. Strengthening the glute muscles will not only reduce the risk of injury but will also improve posture and stability. Developing these muscles results in improved athletic performance in a variety of sports, as well as making everyday tasks considerably easier. This machine is certainly one of the best ways of targeting and engaging these important muscles. 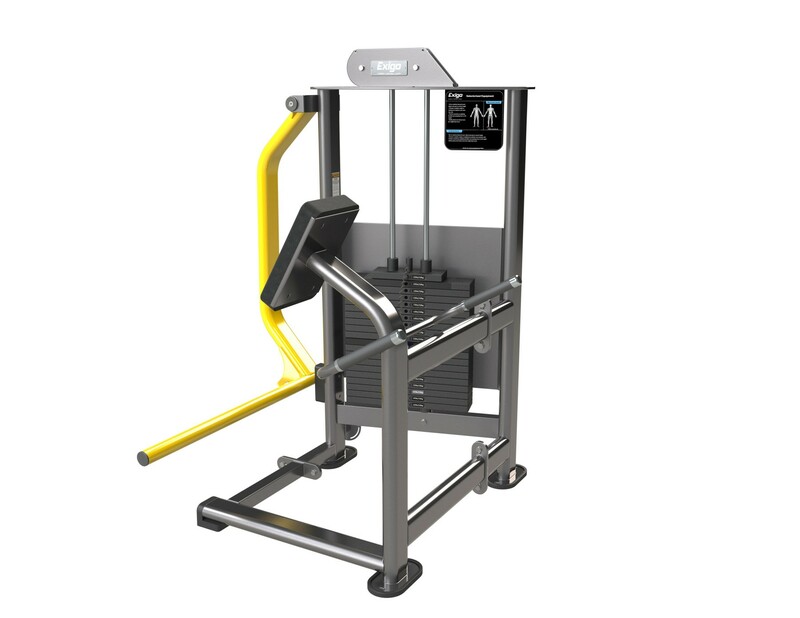 Designed and manufactured in our UK factory, this piece of gym equipment not only looks the part, but is user friendly and constructed to withstand the rigours of a busy commercial gym environment. This machine boasts a high quality finish, hard-wearing upholstery and a robust frame. Engineered using optimal components, the Exigo Glute Machine is a pleasure to use due to its smooth movement. Whether you’re a seasoned athlete or gym novice, this machine will help you to achieve superior results. Suitable for any strength and conditioning facility, gym or home gym. Here at Exigo-UK, we pride ourselves on being able to offer a comprehensive variety of customisation options. Choose from one of our standard primary or secondary colours, or get the exact match you require from the many other colour options available on request.